It's available for users with the operating system Windows 95 and prior versions, and it is only available in English. 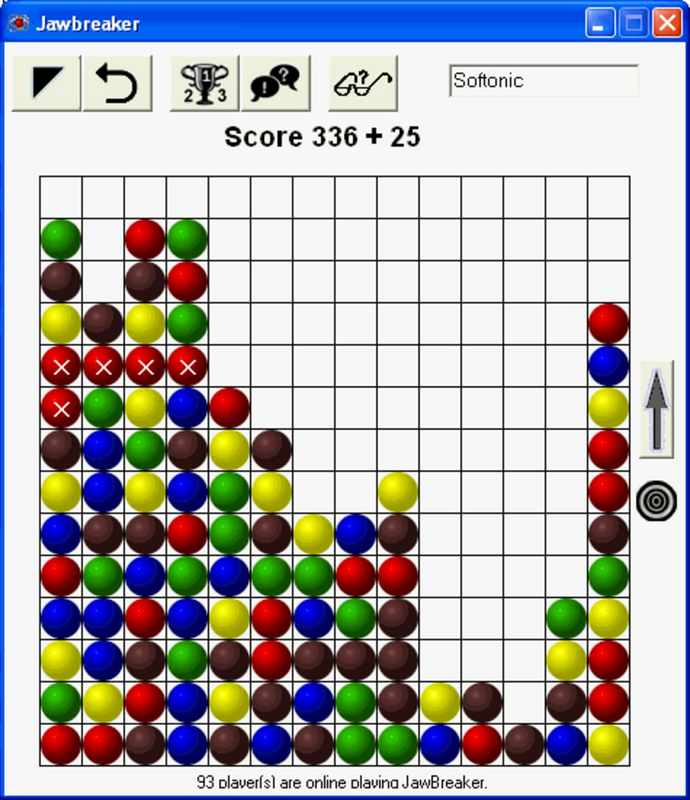 The current version of the game is 1.0 and was updated on 4/12/2006. About the download, Jawbreaker is a fairly light game that does not require as much free space than most games in the section PC games. It's very heavily used in Netherlands, Indonesia, and United Republic Of Tanzania. 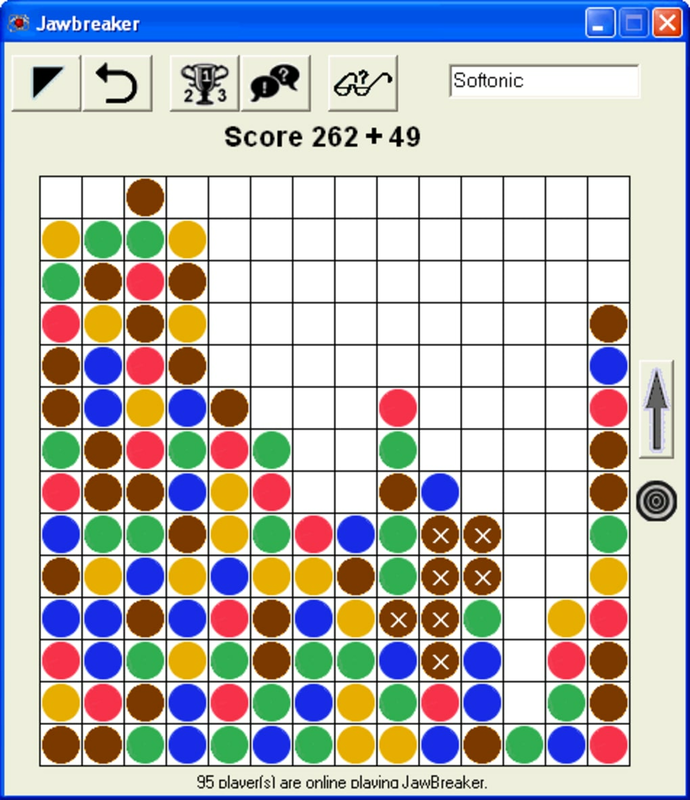 Since we added this game to our catalog in 2006, it has already reached 44,279 downloads, and last week it gained 10 downloads. 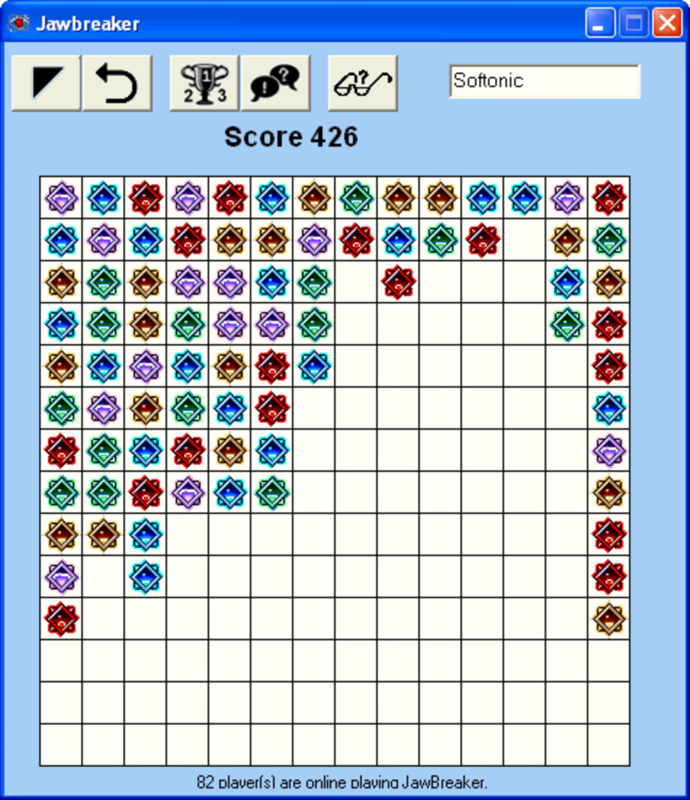 Jawbreaker is a ball game which was first introduced on Windows Mobile for the PocketPC (PDA PPC). 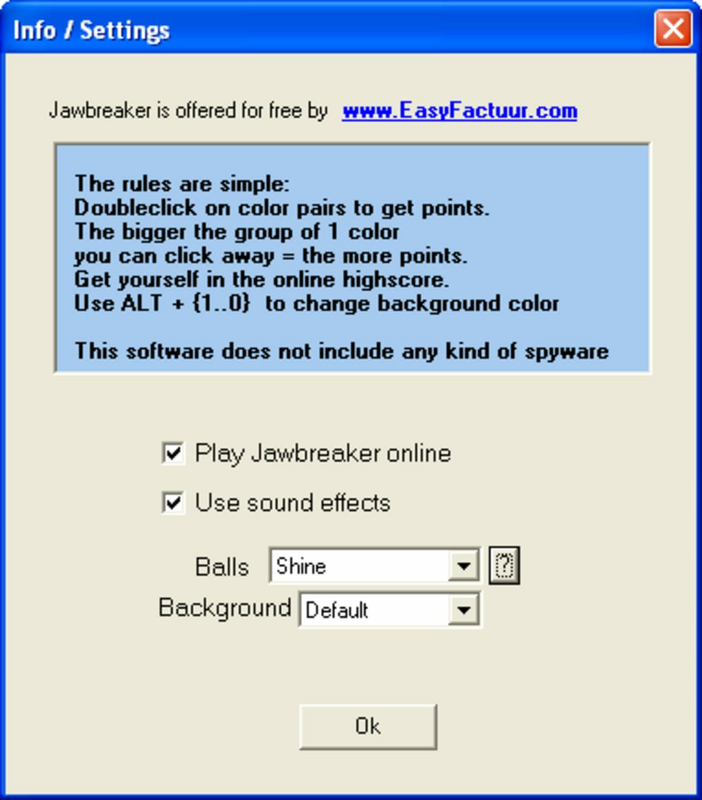 Because i didn't want my child to play with my PocketPC and I found the game very addictive, I made a PC version of Jawbreaker. 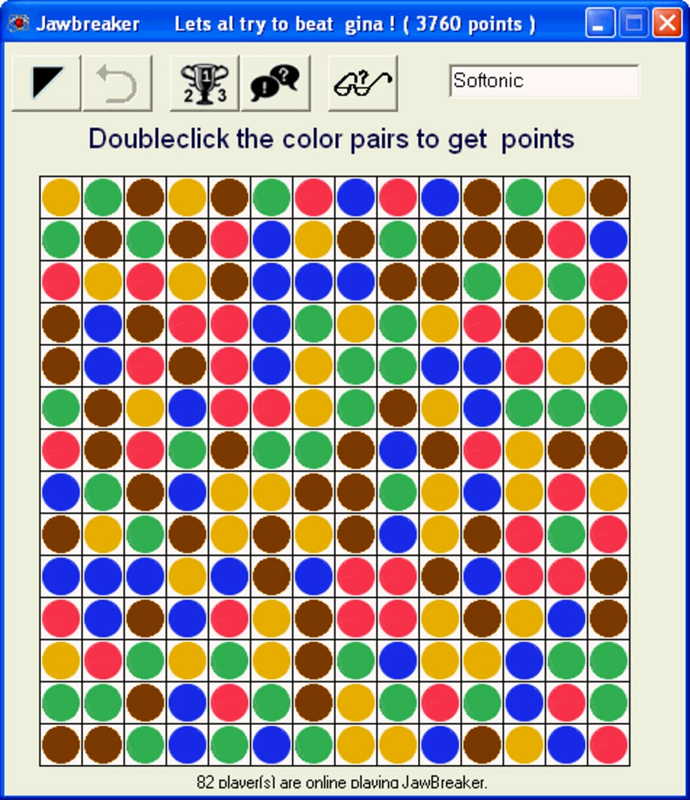 The rules of Jawbreaker are simple: you must doubleclick on color pairs to get points. 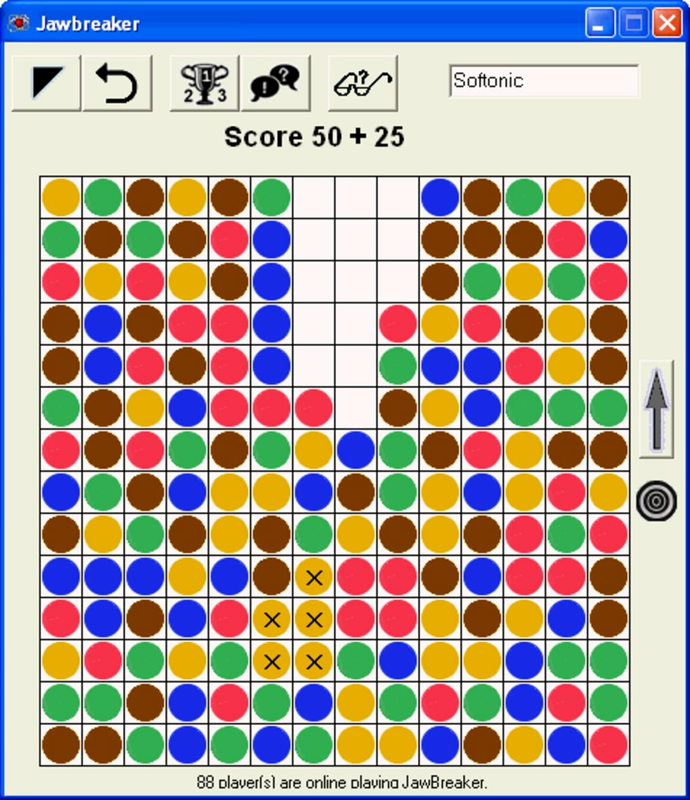 The bigger the group of a single color you can click away, the more points you get. In the PC version there is an extra option to make helium balls (all the balls going up). There is an online daily, weekly and monthly score list so the challenge is to get your name in that list!! There is also a chat option where you can talk with other players.